16A and 100W total is actually very little for a retro system and that PSU is likely being pushed to its limits. Something like ~20A would be much better. Is it? 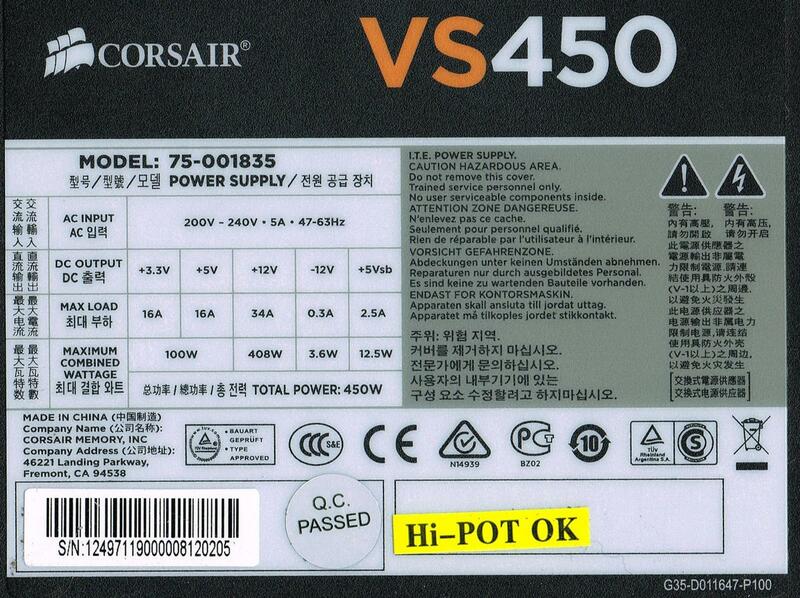 I think the VS450 is what Philscomputerlab actually uses for his rigs. Depends on what the rest of your system is. In one of Phils videos he tested it with Duron CPU's and the 35Watt Duron 800 is the most it could handle. A voodoo 2 can pull up to something like 10 watts, so a game activating it might be pushing the PSU over the limit. EDIT: my bad, it was the Duron 1000. Still, the PSU is being pushed to it's limits with so many components pulling from the 5V rail. This PC has a p2 350, Aopen AX63Pro, 20GB and 250GB HDD's. I think I've got it working, and in SLI. (results on a P2-350, PC100 SDRAM, Via ApolloPro133, Win98SE). Are these on par with what one could expect from this spec? I've tried them in my Pentium 4 3.0 with added airflow and in 3dmark they hit almost 6800pts and solid 60FPS in Unreal/Quake with the only drawback being visible horizontal SLI lines.